The underside of Oil Derrick's top decks still has a little paint work to go. The base section of Oil Derrick is looking great with new paint. Crews have not gotten to the center part of Oil Derrick's structure yet. New foundation is waiting to be poured for the new restaurant in Gotham City. 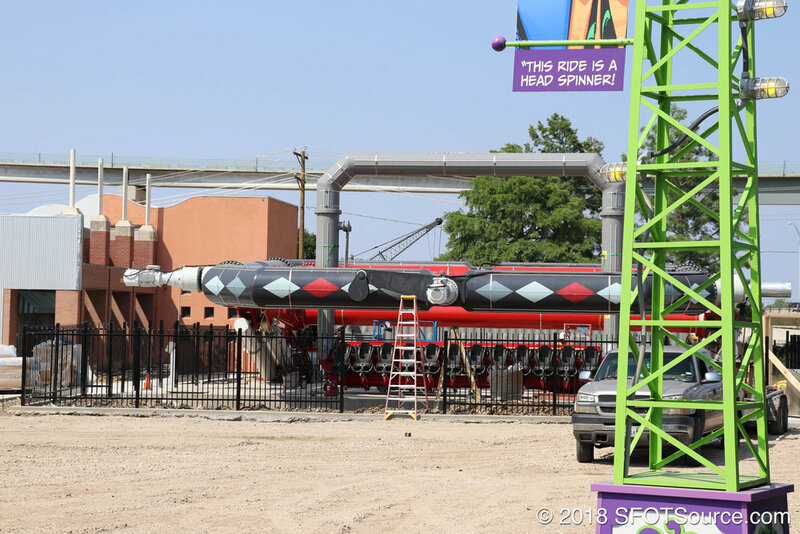 An overall look at the Harley Quinn Spinsanity construction area. The whole area has been cleared out leaving potential room for future expansion. A closer look at Harley Quinn Spinsanity. The main structure is all but complete and a fence has been put up around the ride area.